1. Involves Full Body Workout: From head to toe, no body part remains neutral while performing Parkour. It helps the body to burn off all extra calories hidden in the form of fat. Parkour provides you a perfect body shape and keeps you fit, and healthy. Also, It delays the aging process by slowing down the degeneration process. Also, as you don’t have to spend some depressing hours in the gym, it doesn’t let you demotivated. Playing parkour is fun that makes you stick to it for a longer period. Thus, making workout an entertaining activity rather a depressing chore. Parkour is all about nurturing your health while adding a little play to your workout, go out in the sun in the streets, and overcome those obstacles. 2. Promote Quickness: Parkour will make you quick. And not just regarding your physical sense. It enhances your thinking skills, since in a fraction of a second; you’ll have to figure out a way to jump over the road, or to climb a wall, etc. Thus, Parkour keeps you up to make quick decisions and movements to overcome the obstacles and reach your destination in the least possible time. 3. Boosts Self-Trust: Parkour is a quick game, and so demands the self-confidence. And when in that fraction of seconds you make a decision, you know that you’ll just have to go for it. It makes you habitual in trusting your instincts. It develops self-trust and boosts confidence in believing that whatever you decided is right, and you are ready to go for it. More importantly, it teaches you taking actions on your decisions. 4. Develops Skills & Creativity: Every obstacle in Parkour requires a different approach, a new strategy; a quicker and safer one. So, your creativity will be tested through it. It also includes balance, coordination, power, speed while running, climbing or any other activity. And no other game will nourish all these skills together in such a fun and creative way. 5. Strengthens The Bones: Parkour, like many other sport training activities, makes your bones stronger and develops core strength. This activity requires a lot of upper body and lower body high impact movements like jumping, rolling, vaulting, climbing and much more. Also, while performing such actions, a transfer of balance takes place at a very quick pace. Often in Parkour, your entire body is only relied on a performance of single organ bones, such as arms or legs, thus, strengthens the bones and your whole body. 6. Enhances Cardiovascular Endurance: As mentioned earlier, Parkour is a cardiovascular physical exercise. It strengthens your heart and increases the body stamina. Such a powerful activity increases the blood flow, resulting in more oxygen intake, and making the body healthier than ever. 7. Keeps You Happier, Healthier, and Heartiest: Several studies and surveys have proved that a physical activity like Parkour reduces anti-social behavior. Being a cardiovascular event, It increases the blood circulation, making you stronger and healthier. And not just physically, but mentally as well. Also, the entire idea of overcoming obstacles and dealing with tough situations makes you more sensitive and more prone to other human feelings. 8. Makes You Fearless: Often in our lives, we are haunted by unknown fears, death being the greatest one of them. As much fun and powerful Parkour can be, it is evident that it is a risky act. And you will fall, you will trip, and you will get hurt. Parkour will help you in overcoming all those fears of the unknown and will develop a confidence for not to quit. With times, hurdles that you once thought cannot be conquered will no longer be as much scary to you. 9. A ‘Parkour’ Group: It’s almost impossible to indulge in such a creative and beneficial game and not to make friends, or rather a group. Chances are there must be already a gang who practices Parkour in your locality, and to figure that out you only have to go outside and try it. If not, it won’t be long before you make a Parkour group. Since it is so much fun and tempting, finding members won’t be a difficulty. So, you get to make new acquaintances while doing an excellent workout which is obviously a blessing to your body and your soul. 10. Military Training: One of the most common usages of Parkour is in military training. Since a soldier is required to be quick, healthy, spontaneous and vigorous, It is a more-than-perfect method of training. So, does that mean when you’re practicing Parkour your level of physical training can almost be compared to that of a military officer? Yes, it says the same. 11. Overcoming Obstacles: When we say Parkour is about overcoming obstacles in your way, it could mean so much than just its literary sense. Throughout our lives we’ve been told not to quit, face the difficulties, there’s always a way. And that’s the entire idea behind It. Parkour teaches us that obstacles can be won over, and in the race of our lives, we may encounter many difficulties and many people may try to push us backward, but there’s always a way. Although parkour is fun and has many health benefits yet it is never to be forgotten that it is a stunt game that requires a lot of physical activity and body movements, and thus, it should never be done without all the instructions, protective gloves, and a professional to guide you. Also, to find a perfect site for Parkour can be a challenge in itself. Always make sure your training site is safe and with only necessary requirements for Parkour. With some caution and discipline and willpower, no obstacle will ever be a challenge to you. 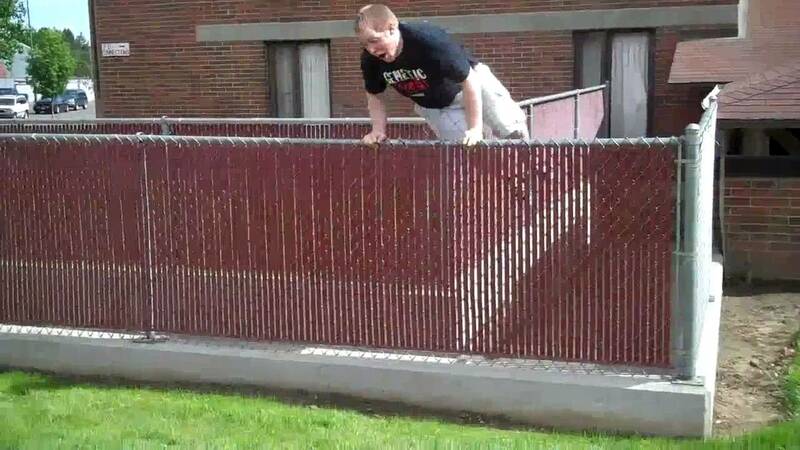 Parkour For Overweighted or Obese People! Parkour is an intense activity. It demands intense muscular and physical strength. That said, does it mean parkour is only for the physically fit people? No, it’s for everyone. Obese individuals can also be a part of it. The thing is that they have to do a bit more hard work as compared to the people in shape. Being obese does make a difference but doesn’t make it impossible. 1. Jogging: Jogging is the most efficient to start with. Jogging involves the participation of the whole body rather some specific parts. Means it helps the body as a whole to improve. It helps the person in reducing weight, increasing cardiovascular endurance, and increasing bone density. Besides, jogging forms a base for the individuals to gradually shift to high impact exercises like sprinting, jumping and so on. When you decide to go running or do any sort of movement like that, make sure you have athletic shoes! 2. Passive Bar Hang : Passive bar hanging helps to increase the shoulder mobility and strengthens the grip. This enhanced grip capacity makes it easier to hold better for advanced climbing and brachiating movements. It also decompresses the spine making it more flexible. Start hanging with the bars for 15 seconds of holding on the first day. Increase the holding time to have some progressive results. 3. Quadrupedal Movement: The exercise involves reciprocating forward and backward movements. In this exercise, take the push-up position and start moving forward using the left hand and right leg simultaneously and vice versa. The Same procedure is to be followed while moving backward. This exercise helps to maintain the coordination between the body parts and is beneficial for Parkour runners to run from and to the small spaces. It contributes to enhancing the skills of weight transferring while performing precise movements. 4. Full Squat: Full squat exercise is best to strength the lower body parts like ankles, hips, back and also enhances mobility. The important thing to notice while performing this exercise is the proper posture to hold for. The better you hold the position, the lesser will be the chances to get injuries. As a start, try to hold the full squat position for 1 minute. Then move up to 5 minutes or so. 5. Wall Support: Wall support is considered to be the best exercise for obese people to build the upper body and core strength that is vital for vaulting and climbing. While performing the exercise, make sure to maintain a tight core and a minimum hold for 30 seconds to get good results. No doubt, performing these basic exercises in the proper way and routine will establish a basic level of fitness that will help you to move towards more intensive tasks. Besides, we all have heard of an idiom “Nothing Is Impossible” or “Impossible” means “I’m Possible.” So, if you believe that Parkour is not a cup of tea for you just because you are over-weighted, then you are lying to yourself. The obese people just need a high level of determination and willingness to come out of their comfort zone. Push harder than yesterday if you want a better tomorrow. So be a part of the Parkour family and keep yourself pushing further. Hope that motivates you. Are you eager to learn parkour? If yes, then you must read this beginner’s guide first. However, you must be strictly aware that this kind of training is not an easy task. It requires agility, speed, endurance, balance, and power. It may look entertaining and as much as attractive on videos and televisions, being able to do this, requires tough and real effort and firm patience. Parkour is basically composed of natural movements of human being but it is the novelty of extending mere movements to greater millennium in which you convert the source and ordinary natural movements into fast pacing, motionlessly engaging, and powerful movements. Parkour is training your body and mind to overcome obstacles by using speed and efficiency. Parkour is quite dangerous, if not, a rigorously risky activity that may lead to serious injury. Whatever your reason for wanting to learn parkour, it is always good to check some tutorials and guides on the internet or from your local gyms first. What are your reasons for learning parkour? Do you find it cool when watching men on YouTube or from your local place, jumping high places without getting hurt? Do you want to consider it as a fitness tool exercise? Or, do you want to become a well-known stuntman on TV shows and films, someday? No matter what your reasons are, learning parkour takes a great deal of passion and determination. You are definitely not going to learn it overnight, especially if your body is not used to physical activities. But the goal is to keep going and at the same time, not getting injured. We will discuss how to avoid injuries later on. Your Friendly Equipment Are Your First Training! As a beginner consider practicing at your local gyms or at your house. Use equipment highly appropriate for beginners like simple blocks where you can practice jumping over while doing other extensions stunts using your legs. Agility is an important key skill you need to awaken and extend. The ability to change position in the shortest period of time. If you decide to practice at your house, you may as well consider grabbing a sofa and start jumping over it. The proper key of using these friendly parkour equipment relies on what you do with them. It is highly recommended that you try first the smallest jumping activities over and over again before proceeding to bigger and more risky stunts. You are warned to patience, so have the courage to held it in. If you prefer doing simplest stunts at your backyard, it is still fine. Use blocks with average height. Be always reminded that whatever you proposed to do, you are in control of it, so always choose safety. Take the advise in starting the tiny steps before performing bigger stunts. Your safety should always be number one. What if in the middle of learning parkour, you suddenly got injured and gain no progress? How will you motivate yourself to keep going? You may ask yourself, why am I doing it in the first place? If this things comes to you and you don’t know what to do, keep in mind a couple of things. First, why are you trying learn parkour? Second, what are the benefits after you finally learn parkour? And third, are you really passionate about parkour that you do not need motivation all along? Dig deep down into yourself. Is it truly something you love doing? If yes, then there is no need for the motivation here, because the passion is there. If you love something, you will doing it no matter what are the obstacles. And that is parkour is, it is about overcoming these things by changing your mindset or perception. It is more helpful if you have friends parkour too. Someone that shares your passion and excitement. Motivate each other and set goals. Push each other into reaching those goals. Most importantly is to have fun. Think of it as a contest, you don’t want to be left out by your friends. You don’t want to see them jumping above walls while you can barely jump through a fence. Look forward to training parkour everyday, same way as you look forward in reaching your desired goals. The key is, do what you enjoy doing and why are you doing it. You don’t get blame for that right? Of course not. How to avoid injuries while training for Parkour? This is a common advice yet could be as powerful to make your practice successful. Before trying to perform rigid movements, consider warming up your body. This will ignite your body and will hasten your heartbeat that signals them that you are about to do something that requires their total cooperation. Warm-up exercises loosen your joints as well as which makes fast-pacing movements possible. Before performing parkour, always take the safest side, do warm-ups such as push-ups, curl-ups and exercises for stretching. Along with this make sure you have the right parkour equipment! The utmost and most reliable skill you must learn in parkour is safe landing. It is a skill where you must be able to land serenely and softly on the ground that even the smallest frequency of sounds is nowhere to be found where your joint absorb the shock simultaneously instead of letting a single joint to absorb all the impact created from landing above. Try holding yourself in practicing by jumping off from blocks with flat surfaces before jumping to a higher surface. Make sure you have acquired the skill or technique to do safe landing. It is the art of making use of your hands as you land safely on the ground. Trough practicing you have required some basic skill, like safe landing and balanced jumping. You must continue practicing it and do not jump into conclusion that you can do parkour on higher building. It takes more time than that. Make sure you have improved your balance and the rest required skill in mastering parkour. As discussed earlier, choose obstacles for beginners such as sofa and blocks with average height. Keep in mind that you are still a beginner. Try acquiring and practicing basic skill. Do simple stunts and do them over again. Make sure your obstacles is safe and steady. If you’re a beginner seek for someone who is already top rated and knows the real score in training parkour. Ask him to teach you safety tips and how did he or she get knowledgeable and acquired skills in parkour. Treat them with respect since they will be likely to teach you the right way in becoming a successful parkour trainee if you talk smart. These five crucial and vital advises are dictated to all beginning parkour performers or trainees. Bear in mind, even if you’re aiming for success, always consider your limitations and your safety. Study, describe, and analyze your progress thoroughly and carefully to tell whether you’re ready to the next step. Be always on the go and actively consider these safety measures in avoiding injuries in parkour training. You’ve learned what is parkour, how to motivate yourself and how to avoid injury in the previous topics. Now, you are prepared to actually practice or perform parkour. If you have no knowledge in performing parkour, you can start by joining parkour communities in your city. If you have trouble finding one, you can certainly use Google and Facebook. Look for a local parkour near you. If you find one, meet with them in a hotspot. A hotspot is where you practice parkour which is packed with obstacles. Don’t get embarrassed if you failed during you first try, it is normal. You can watch the below video for the ultimate beginners guide for parkour ! Start practicing on easier and safer obstacles first. If you’re worried about where to put your stuff while you train, make you sure you check out a free running storage backpack! Practice your flipping and rolling skills. You can choose a grassy one to provide a little cushion and friction on your practice. Be prepared for people looking at you though, don’t let them distract you. You don’t get any safer by practicing in gyms. There are mats and trampolines to cushion your fall. Another good thing is less people will look at you than practicing on open fields. A gym is designed for working our too. That’s why you can use weight equipment, if you feel that a certain muscle in your body is not strong enough. Yes, sand is good in absorbing the impact. You might also notice that a fair amount of people practice back-flips on the beach. That is because of the beach’s slanting surface, beginners can easily hone their flipping skills here. Another thing to watch out, is the sand getting in your eyes. It is cool to practice on campuses because of its complex and diverse structure, which will push your parkour skills to the limit. Professors might not be too hot watching students jumping around, that’s why you want to practice during where classes are out. Here it is, you parkour playground. Most playgrounds are actually designed for parkour that is why it is a great hotspot to converge into. Don’t parkour near children though, especially if they are watching. Try to listen and consider the children who are passing by in the playground. Children might run along with a haste and pass you by while you are doing your stunt. Always make sure there are no children who may interrupt. Always think safety. Parkour meant to be performed on natural places. Forest have complicated with different tree sizes and shapes. It improves your resourcefulness in passing the obstacles. It is also more private than schools and playgrounds too. It is composed of running to a horizontal pole then jumping while grabbing the pole with your hands and swinging through and landing on the ground with your two feet. Work in your jumping skills or specifically leg muscles. Parkour usually involves jumps and you can’t really do cool parkour without performing a jump. Another basic move is jumping over an object. Start by jumping on shorter, until you gain enough momentum, and proceed to taller objects. It is making a lift through an object by using your right hand and propel yourself with the left hand. Parkour is a healthy and an enjoyable training to yourself. It is a great exercise and overall, a stress reliever. It is not a sport and you have no competition. Aside from yourself. You basically don’t need any equipment in doing parkour because it is meant to be done in a natural environment. It is a passion that you should not be afraid diving into, so long as you practice safety measures. Bear in mind, even if you’re aiming for success, always consider your limitations and your safety. Study, describe, and analyze your progress thoroughly and carefully to tell whether you’re ready to the next step. Be always on the go and actively consider these safety measures in avoiding injuries in parkour training. A conditioned body-lightly sweating is effective and efficient for performing parkour. If you do little warm-up to treat body a little sweat then you’ll probably have a maximized and up to the utmost potential, a perfect time, to upgrade your skills in Parkour. Even master of parkour fail then, how much guts will it take you being a beginner. Key term? Be vigilant and observant and learn how to avoid injuries and parkour and do stunts beyond your basic skill. Inform yourself, that great patience is required for you to become an ultimate parkour trainee. Whatever you enjoy doing as a hobby as a means of self-expression, go for it. Get out there and do Parkour!